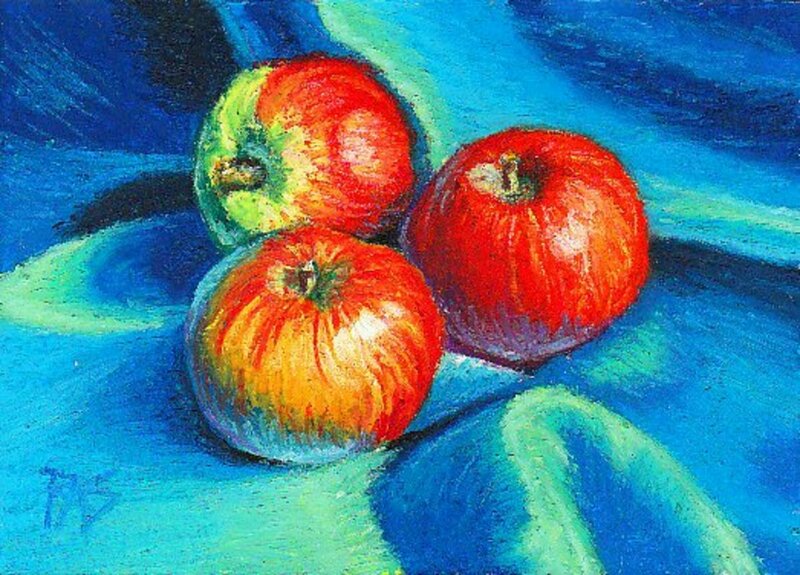 Since school, Bronwen has been interested in art, has joined Artists' groups where she has lived, and occasionally has even won prizes. Asian art is very popular, especially Chinese art. 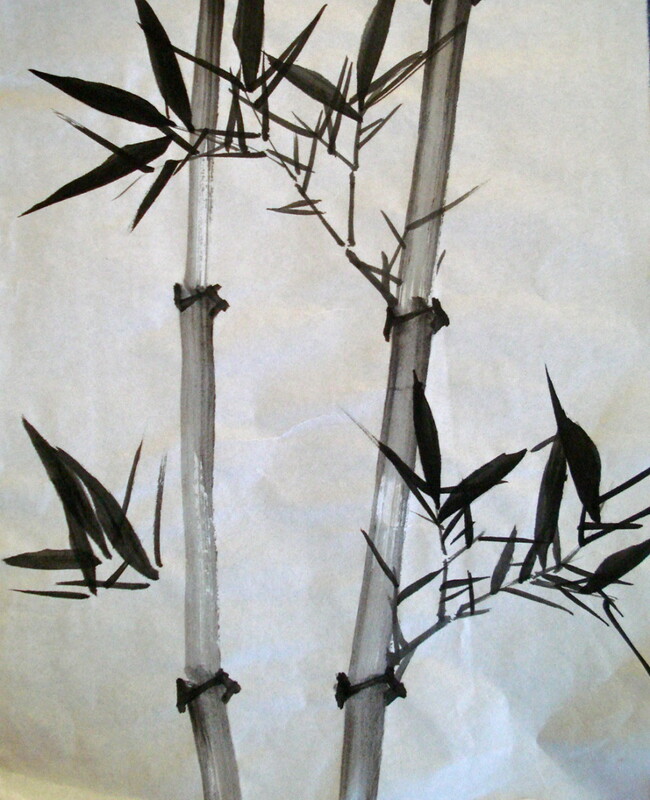 If you want to learn how, bamboo is usually considered to be Number One, the first thing to paint when learning to follow Chinese watercolour techniques. The traditional way to paint is to use an ink block, also known as Chinese ink cake, and this needs to be patiently rubbed on the special painter's stone slab that has a small well one side to hold the water. Did you know that bamboo has great significance for Chinese people? It is a symbol for success, prosperity and protection from evil. Believe it or not: Bamboo is actually giant grass. It is the world's largest member of the grass family and grows to its full height in one season. That makes it the fastest growing plant in the world! If you choose to paint in this way, you will need a roll of rice paper, a jar for water, the stone slab and ink cake, an old blanket ironed flat to rest the paper on, and a couple of Chinese brushes. Extras include a special small spoon for adding water to the stone slab and a brush rest. 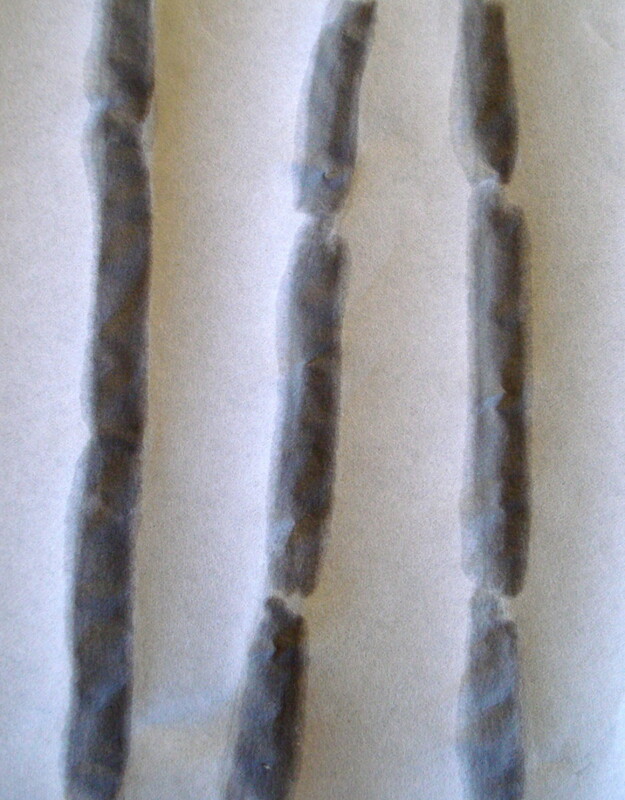 You may want to tear or cut small pieces of the paper so that you can practice the stems or stalks. Chinese watercolour techniques involve brush painting and learning to draw using the brush. There are no guide-lines, you just picture in your mind where you want to place the stems, or other images, and then draw them with the paint. Make sure you have made enough paint. Do not overload the brush but keep it fairly dry as little bits missing enhance the appearance of the painting. Sometimes it helps to practise in the air, just above the paper until you have visualised how you want it to look. 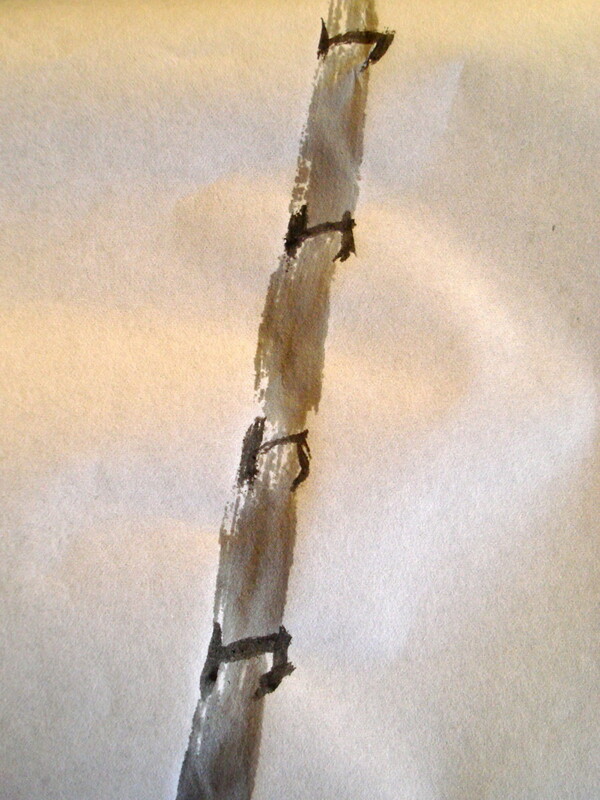 Then draw the brush up the page from the bottom, stopping at intervals to begin to form the sections of the bamboo. Try several times until it looks the way you envisage. Notice that in the image shown here that too much paint was used. Less is better. These stylised bamboo section markers, sometimes known as knots, should stand out, so you need to rub the ink block a little more to make the paint darker. For these markers, you may need to use a finer brush than the one you used for the stems, and you will need to have it charged with a little more paint, too. Again, practice painting the knots until you are confident with them. The darker ink is best for the twigs and leaves, although when you have practised a little, you may want to enhance your final painting with some paler twigs or leaves in the background. The Twigs: Begin the twigs at the base of a section and sweep them out in the direction you want them to go, making small breaks as you go. The Leaves: Begin the leaves at the twig and sweep them out to be a little wider, then peter off to a point. As with most parts of a bamboo painting, if you paint a leaf or two crossing over each other, this is good. Crossed-over leaves are a symbol of tranquility. When you are satisfied that you have learned how to paint each part of the bamboo, it is time to prepare another, probably larger, piece of paper, and put all these parts together. Symbolism: If you choose to paint a certain number of stems, you may be interested in the symbolism for Chinese people. Warning: do not paint four stalks together, as that is unlucky and stands for death. Two stalks stand for a long marriage, three for wishing happiness, five for good health, six for harmony, and eight for prosperity. Have fun and enjoy the serenity of painting the Chinese way. Celebrate the finished masterpiece by having a meal that includes bamboo. Whether it is rice cooked in bamboo, bamboo shoots or in some other form, it is all delicious! Simple instructions for framing paintings yourself make a useful and economical project that does not require many tools or materials. The newly popular painting canvasses that are already stretched on a frame do not need to have a further frame. Debby Bruck: Thank you. That is interesting that the bamboo has become a popular gift - as you write, thanks to planning and forethought, rather than good luck. Bless you, too. nifwlseirff: There is Chinese ink that is already made up and it can be bought in small bottles. You might be able to add water to get the greys. One of the hints is to not have too much moisture on the brush. I do hope that you try. Good luck and have fun! Stunning, and so simply explained! Thank you! 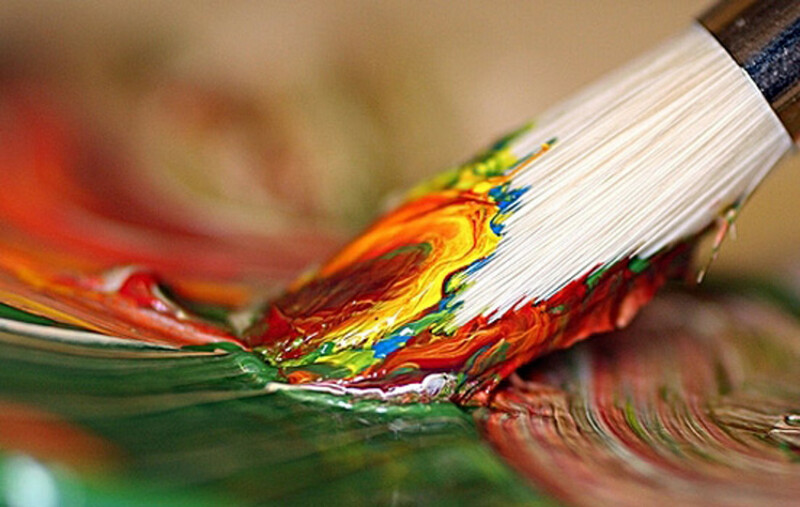 I've always wanted to try brush painting, but have been too scared. 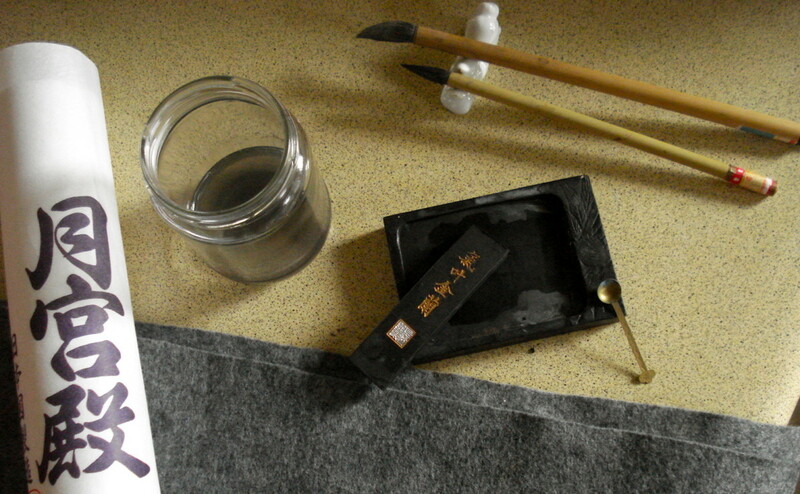 I do have the materials though, for Japanese calligraphy, so it shouldn't be too much of a step. I guess you could use prepared ink, instead of an ink stick, but you wouldn't get as much shading. suzzycue: Do try, you don't need much equipment to start and it is really very relaxing. Every time I try to do it, it looks different; I might make the stem sweep up a little differently, place the leaves a different way, or use less or more ink, so it ends up looking darker or lighter. Aim to get a really crisp look. Your painting is awesome. I want to do watercolors but don't know where to start. I think your Chinese painting would be a very relaxing thing to do. I appreciate your work. whowas: I love your comment and I'm so glad that my hub has been helpful. It's great to share something that I'm not really so good at, but enjoy and have learned to appreciate. You know I have often admired Chinese painting and calligraphy but never really known how these beautiful, precise and evocative painting effects had been achieved. You've changed that! A beautiful and informative hub. Thank you so much for sharing your remarkable knowledge and talent. Audrey Howitt: Thank you! I'm glad you enjoyed it and I hope the other folk you sent it on to enjoy it, too. tilsontitan: I do hope it encourages others to try, it can be so satisfying. AliciaC: It is lovely and the symbolic meanings are interesting, too. Thank you for your comments. cat on a soapbox: I love Chinese food (the real thing, that is, not the kind we so often get at the takeaway that is full of sugar), so it was great to be able to give it a mention. Thank you for your comments. chef-de-jour: Most forms of painting, because we get so wrapped up in creation mode, have a way of transporting us off into a peaceful world of our own and Chinese is no exception. Pollyannalana: I'm glad you enjoyed it. We can learn so much from other cultures and their arts. teaches12345: Thank you. The best way would be to try to do it yourself, you might get a big surprise after a little practice. How fascinating! I love the delicate look of this art work. 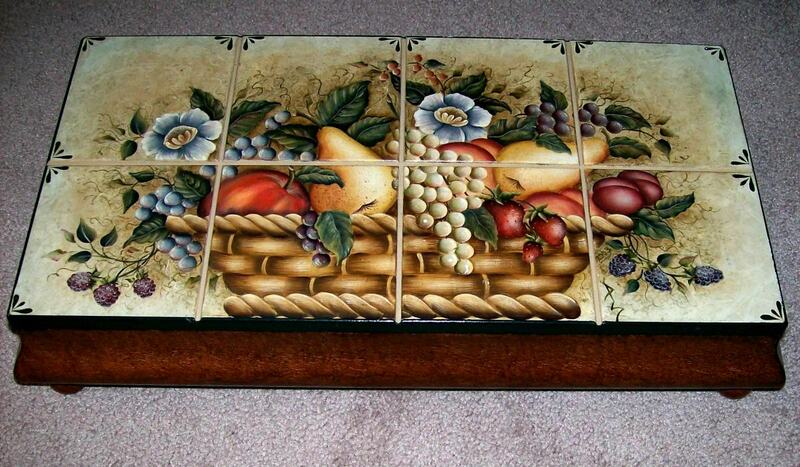 I would love to have some items of this beauty in my home. Very interesting and a great lesson in Chinese culture besides your painting tips. Up and shared. A fine hub on a very special topic with religious undertones may I say!? Any form of watercolour painting has peace as its foundation - the quiet space which attracts inspiration and creativity. Your hub adds to this by giving practical tips and sound information. Votes for the process and the wonderful end product. I really enjoyed your approach to this hub. Although about capturing the lovely bamboo plant in Sumi-e painting style, you have given us a complete Zen -like focus on bamboo. I especially love your suggestion of meal preparation after finishing the artwork. It is delightful in every way. :) Thank you! This sounds like a lovely art form, BlossomSB, and the paintings in your photos are beautiful. I enjoyed reading about the symbolic meanings of bamboo as well as learning about Chinese watercolour art. Your finished bamboo painting is lovely! You provide good information in this hub and I'm sure lots of people will be anxious to try it after reading your hub. This is such a lovely hub! I loved it and am sharing! lady rain: You have an interesting pseudonym for an Aussie, I'm intrigued as to how you chose it. Thank you for your comment. Do try painting the Chinese way, it's fun and quite inexpensive to play around with and practise. faith reaper: Bless you! Yes, it looks so simple and yet requires skill - and every time I try, the result looks different! There can be great beauty in simple things. kashmir56: Thank you for your kind comment and vote. nenytridiana: I guess that one day I should write a hub about doing Chinese watercolour in colour. Yes, the rice paper is often stuck onto a long background of patterned silk or stronger paper, but I haven't mastered that, I usually manage to tear the rice paper! I, too, enjoy Chinese culture and stories, they have such a long history, like other Asian countries. Frank Atanacio: You are such a faithful commenter. Thank you for reading it and your vote. Maralexa: Are you taking lessons? That would be so great. Do write another hub, you probably know lots more about it than I do. lauramaryscott: Yes, we can learn so much from other cultures and it helps us to put our own into perspective, too. I hope that when you retire you do start oil painting again. I really enjoy that aspect of being retired and like to try different paint media. Don't leave it too long before starting, though, money seems to disappear so quickly when retired and oils can be expensive. aviannovice: I'm glad you enjoyed it. Do have a try, the results can be quite surprising and pleasing. I have always admired this art form. Thanks for the great explanation. BlossumSB, another informative hub. Learning about other cultures is always interesting. When I really retire I would like to get back to oil painting again. Thanks for sharing bamboo Chinese painting with us. Hello BlossomSB this is a wonderful hub! 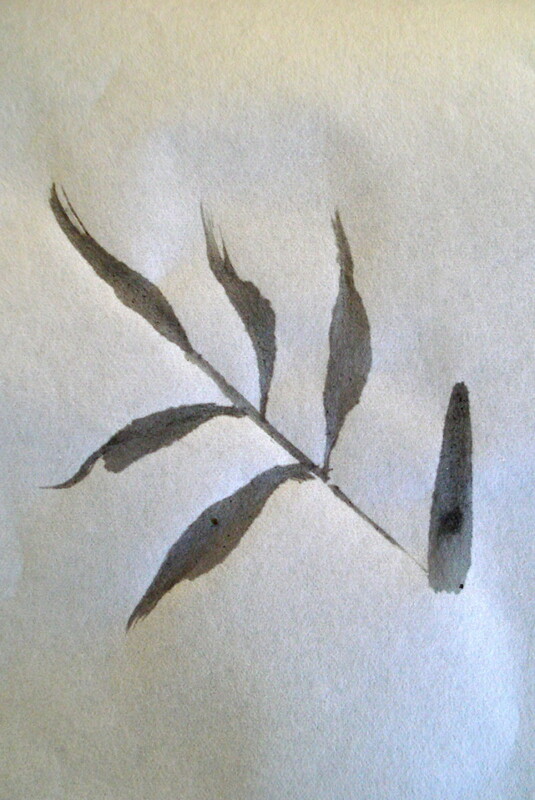 I love Chinese brush painting and started with bamboo, just as you say. I am working on "The Four Gentlemen" now which includes bamboo. You have motivated me to write another hub on this energizing and balancing art form. Thank you. I like Chinese painting, they have a simple colors but complex detail. They are usually printed on the banner format, and they are content story (I love to read ancient Chinese stories like Romance of Three Kingdom). Thank you for the information blossomsb. Thanks for sharing this information, this is a very interesting art form and hub . Well done !